InLight Wellness System is a photo-modulated (pulsed, light emitting diodes) medical device also known as low-level light therapy (LLLT). The near infrared and visible red and blue LEDS are the heart of this light therapy system providing gentle but powerful non-coherent light. Using timed sequence of settings, know as pulses to create an environment in which change may occur more rapidly in the body. Its versatile, simple to use, powerful, client comfort, no-cross contamination, sight specific, personalized sessions for what your needs are. 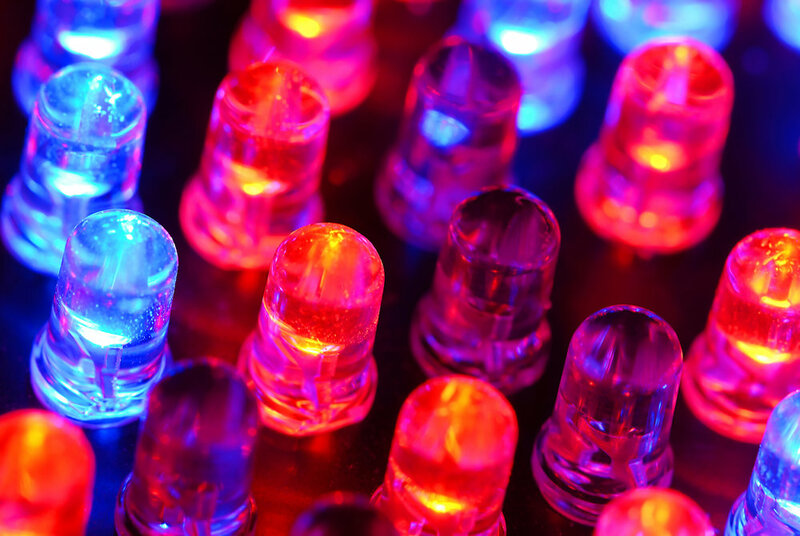 InLight Medical devices contain visible 440nm blue diodes, 650nm red diodes and non visible near infrared light diodes that range from 830nm to 930nm (averaging 880nm) thereby penetrating at various depths and stimulating increased circulation through a broad range of tissue types. Depth of Light Penetration is important if you want true results. The net result of this light therapy system is a cascade of beneficial chemical reactions throughout damaged nerve cells that stimulate healing. This response can be directly attributed to increased blood flow. Enhanced localized blood flow improves tissue oxygenation. Sunlight is photon light. Every cell in the body has photo receptors that absorb photons of light. These photons stimulate energy that the cells use to support a healthy body. Research has shown that blue light works to reduce bacteria on the skin. Blue light works on the skin, Red light on soft tissue, muscle and nerves. While the infrared light works on the deeper applications of bone, cartilage, tendons.Research has shown that LED/Low Level Light Therapy is an excellent modality for speeding up the healing process through powerful therapeutic benefits to living tissue and organisms. Light therapy delivered through LED’s cause biologic effects on the intercellular level because different wavelengths are absorbed by specific proteins. Both visible red and “invisible” near infrared light affect at least twenty four positive changes at the cellular level. Current research is also demonstrating that the addition of blue light also produces revolutionary tissue effects. Studies have shown that when healing appears to be impaired, tissues respond positively to the appropriate doses of light, especially light that is within 600 to 1,000 nm wavelengths. The evidence suggests that LED light therapy accelerates many stages of healing as it reduces inflammation, promotes fibroblast proliferation, enhances the synthesis of type II and type III procollagen, quickens bone repair and remodeling, promotes re-vascularization of wounds and accelerates tissue repair.While LED Light Therapy is efficient in reducing inflammation and pain by increasing circulation, it stimulates the healing process. It is imperative that you keep your body healthy through hydration, proper nutrition and supplementation as well as exercise. This way the body will heal and repair itself, allowing you to achieve your highest level of health. 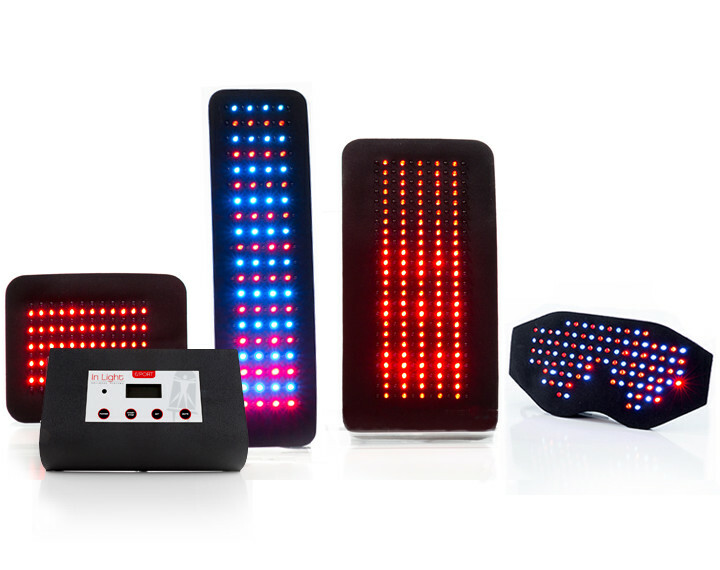 Clinical Research has shown that people with complaints of pain associated with the following issues have reported positive results using Light Therapy utilizing Blue, Red and Near Infrared light frequencies. Most of these aliments result from circulatory issues and the lights have been proven through research to assist in these aliments. 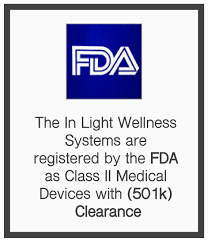 InLight Wellness Medical devices are not intended to diagnose, cure or prevent diseases.